Innveso Consulting offers a complete range of services to help you meet your citizenship goals. 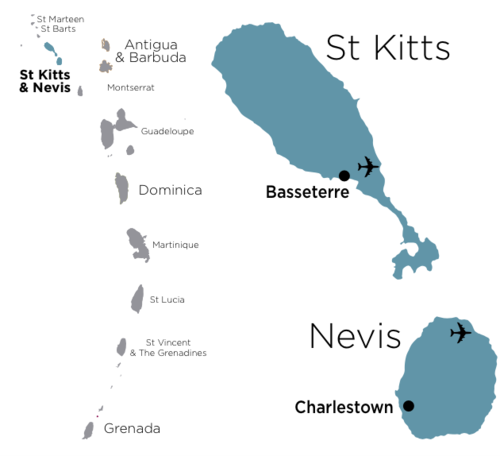 St. Kitts is an excellent choice for a second citizenship status especially for the free travel abilities. The first thing you should do is call and speak with an agent. We can better describe to you the option that would be best to suit your needs based on your goals. There are primarily two ways to secure citizenship and a second passport through investment. Only certain real estate is deemed eligible. The investment has to equate a $400,000 USD investment in real estate through government approved developers however the options include townhomes, apartments, luxury properties and condominiums. We can help you to navigate the real estate market. The $400,000 property investment may be a better option for you if you can sit on the investment for 5 years. One of the caveats is that you cannot sell the property for a full 5 years or you risk losing your citizenship. If you sell the property after the 5 years the next buyer can also take advantage of the same program. This is a less expensive option but it is a non-refundable, non-returnable option. In other words once you write the check that is the last you see of that money. You will have to make a minimum donation of $250,000. The SIDF donation route is a faster route but you do lose the investment without any hope of recouping it. There are other caveats of this program that our staff can discuss with you so that you can make an informed decision. There are a couple of countries of origin that are banned from the program, again that our agents can discuss with you when you call. In addition to the investment, foreign investors also have to pay government fees for each member of their household that they are applying for. Our agents can discuss these costs with you as well as our fee structure. Innveso Consulting has a knowledgeable staff that has only one goal in mind and that is to help you reach your goals. We offer all of the services that you need to make this process easy. Call today to set up a free consultation so you can learn more about your options and how we can assist you in reaching your goals. We are here to help and offer business consultancy, document preparation, due diligence services and we can even open bank accounts for you. Call now for more information!